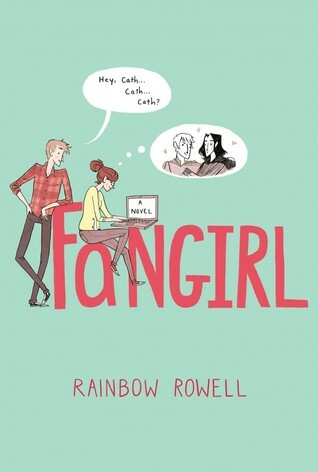 Fangirl follows Cather throughout her journey of self discovery, falling in love and gaining an unlikely friend for life. I really connected with her shy, awkward and introvert personality, I am currently in my first year at university and I have found the transition between college to university surprisingly difficult. So, to read this book was a breath of fresh air, it gave me hope that my anxieties would not stop me from making friends and doing well. I am the type of person that would prefer to stay at home and read a good book while being snuggled up in bed with a cup of tea (don’t get me wrong, I do like the odd night out to let my wild side out) haha definitely 18 going 80. I felt so sorry for Cather throughout the majority of the novel because she is left to completely fend for herself; as soon as her twin sister and her go to university they drift apart. Wren is more of an extrovert who instantly becomes best friends with her roommate, the fact they had juxtaposing personalities made it easier for any type of reader to relate to a character and easily connect with them. I absolutely adored that the Cather was obsessed the Simon Snow novels which represented the Harry Potter book. As a child I was ridiculously obsessed with Harry Potter…like on another level. Harry Potter birthday parties, nimbus 2000 that I would try to ride to school, a Harry Potter bike and a lot more. NOT ASHAMED! Nerd since 1996 haha. Throughout the book I felt as if Rainbow Rowell jumped inside my head and borrowed my life to develop Cather because we are the same person. The only difference is I don’t have a love interest Levi to have an emergency dance party with. (You will understand if you have read the book, if you haven’t go and discover it) I think Rainbow Rowell did a superb job with character development. I loved that Cather also wrote fanfiction, I myself have never written any fanfiction however I am partial to some Twilight Fanfiction….yes I did just admit that. My younger obsessed self just is not ready to let Bella and Edward go just yet. I could totally relate to the aspect of wanting something to continue when it is coming to an end, I admire her for being so dedicated to her fandom. 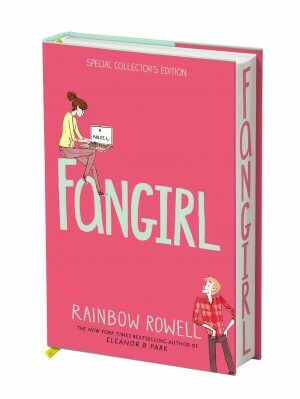 If you want to read something that is just an enjoyable, nice and easy read then go and discover the amazing book that is Fangirl, by the end of the book you will find yourself too wanting to read the Simon Snow books. Lucky for everyone that wants that because the incredible Rainbow Rowell is bringing out a Carry On novel starring Simon Snow. BRING ON OCTOBER! Thanks for liking my Boyhood review! I absolutely loved this book, I thought it was super cute. Landline is also great!